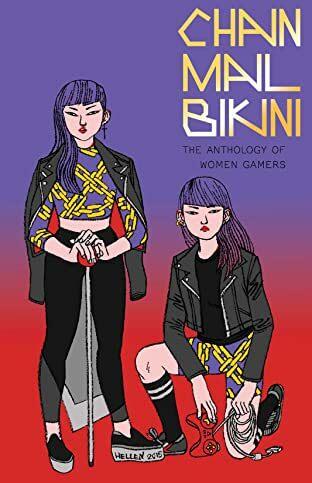 Chainmail Bikini is an anthology of comics by and about female gamers! Forty cartoonists have contributed comics about the games they're passionate about—from video games to tabletop role-playing to collectible card games. The comics in Chainmail Bikini explore the real-life impact of entering a fantasy world, and how games can connect us with each other and teach us about ourselves. Alliances are forged, dice get rolled, and dragons get slain! 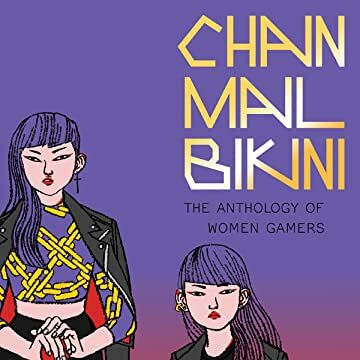 Chainmail Bikini shows that while women are not always the target market for gaming, they are a vital and thoroughly engaged part of it, and are eager to express their personal take as players, makers, and critics of games. Chainmail Bikini is edited by Hazel Newlevant (If This Be Sin), and features a cover illustration by Hellen Jo and comics by established talents and rising stars including Annie Mok, Jane Mai, Molly Ostertag, MK Reed, and Sophie Yanow.